Tokai Forum - a subsidiary of TokaiRegistry.com :: View topic - 1980 LS-100 Joe Walsh - an unbelievable 6lbs. 1980 LS-100 Joe Walsh - an unbelievable 6lbs. Posted: Mon Jul 09, 2012 8:17 pm Post subject: 1980 LS-100 Joe Walsh - an unbelievable 6lbs. I asked the seller how much it weighs. His response, "Man it's light like about 6 pounds are so." Maybe it's one of Billy Gibbons' hollowed out ones. Maybe that's not an urban myth afterall. Regardless. 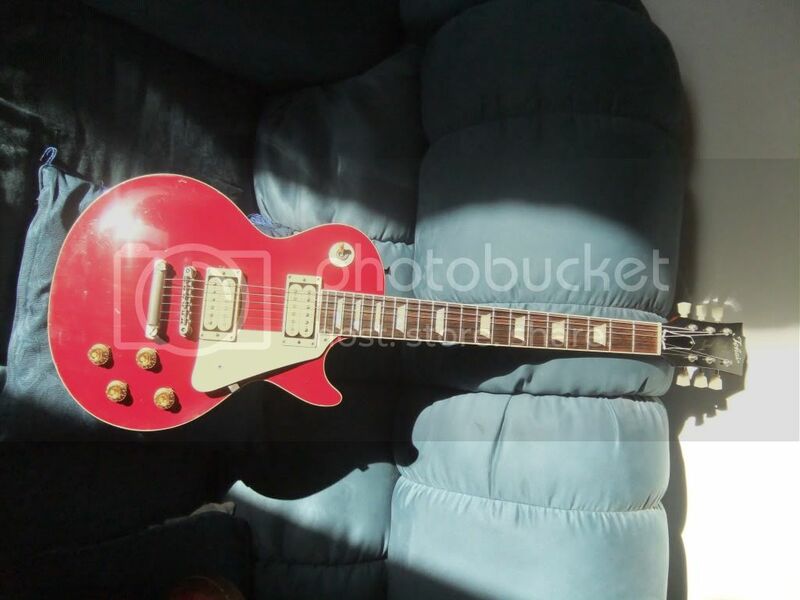 I'm amazed at the number of sellers of Les Pauls that omit the weight when advertizing, and then when asked don't even bother to actually weigh it. Doesn't sound like he weighed it...probably more like 7lbs light. I'm actually in Houston. Might see if he's a dealer and has it available to see. Yeah 6lbs is pretty much impossibly light - there are many SGs that are heavier than 6lbs and still have neck dive. I don't like the look of the height of the action on that LS. Don't see one of these 'rare' models for years on end, and then 5 or 6 turn up within months of each other! That's a crazy weight if it hasn't been 'relieved' of some body weight, all the ones I personally know of are in the 3.9 - 4.2kg range. Mine is 4kg, just a handful of guitars away on the production line, or serial numbering. Seems like a fair price if you are in the US. I'm not a great fan of the slightly slimmer neck but great instruments never the less. 3.6 kg = 7.9 lbs. That's pretty light for a Les Paul. Is there something about this model that brings the weight down? Or is yours just a lighter weight one Jacco? I've checked the interiors and it's a normal 1P back & 2P top, all maho. As far as the comparative weight of mahogany or maple goes, I think there is a fair amount of variance between pieces of wood within the same species, let alone between the two species. For example, take a look at the weights of Villager's two LS-100s for sale that are all mahogany - one weighs 9lbs, 11oz. and the other weighs 8lbs., 9 oz. Between Reborns there are such a difference in weight. I have seen over the years 3,8 kg. (mine) and 4,7 kgs. and more. I also own a '81 LS-50 in 3,6 kg. range. I finally forget the weight when playing a good guitar but the sound is not the same in lighter than in heavier guitars. Lol, they certainly are not as rare as thought before. Beauty!